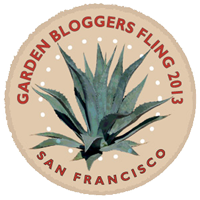 Garden Blogger Bloom Day is here again! 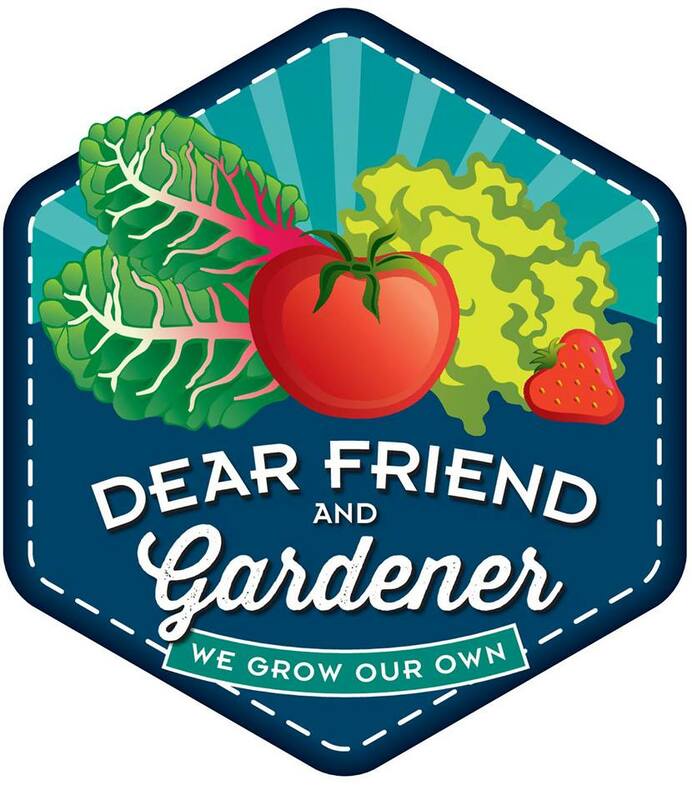 Carol at May Dreams Gardens invites all gardeners to share what is blooming in their garden every month on the 15th. Anticipating rain, I took photos yesterday. I had a bit of a scare when it started hailing today, right after a huge boom of thunder, but the blooms prevailed. We here in northern California don't really do thunder so it was pretty exciting to this ex-Midwesterner but we only got the one boom. Oh well, it was right over us and shook the windows so pretty exciting even if short-lived. The fountain garden is awash in blooms. in the right foreground is brunfelsia pauciflora. The common name is Yesterday, Today and Tomorrow, due to the fact that the flowers fade as they bloom. Yesterday purple, today lavender, tomorrow white. To the left is alstroemeria Regina, behind a pink pelargonium. Rosa Berries and Cream shares space on the fence with Solanum jasminoides. In the front garden dianthus Devon Cottage Rosie Cheeks is in full bloom. I love the scent...my dad always got us carnation corsages for Easter and it is a good memory. The passion flower vine planted last year is covered with wonderfully strange blooms. I once felt they were too weird but have changed my mind and love them! This was supposed to be white passion flower but it doesn't look quite as it should. It appears to be some version of it though, with just a hint of blue. My new-last-year campanula is blooming...but I seem to have misplaced the tag. I'm not sure which this is! Scabiosa Fama blooms in the Morning Garden. Iris My Old Friend blooms for the first time. I planted several new iris varieties last year...most have not bloomed yet. This is the first! Rosa Flower Girl blooms most of the year but right now, with the cooler weather we've been having, it has some lovely, peach colored buds and pink blooms. By summer it will be putting out almost completely white flowers. Salvia Mulberry Jam has settled in after a few years and is now blooming in amongst the lemon verbena foliage. That is about it for this month! I'm not writing long lists of bloomers anymore, but will instead try to showcase flowers that are new. Failed with that on the Flower Girl, but she is a favorite and different almost every month. Visit Carol to find other gardens in bloom...there are lots!!! What a lovely assortment, Leslie. I love the family tie in with the Dianthus. Your flowers are marvelous. We had hail yesterday leaving some of my blooms and leaves tattered. What butterfly in northern California uses passion flower as a host? Here it is Gulf Fritillaries and a a rare Zebra Longwing, though I haven't seen a Zebra in years. Oooh... that 'Mulberry Jam' lookslike it has dark stems. True? If so, I might want to grow it as an annual here! The soft palette of your May garden is dreamy. That's about the prettiest Dianthus I've seen. Your new Iris reminds me of 'Edith Wolford'. I like the yellow & purple combination. Leslie, It's lovely~I've always thought yesterday, Today and Tomorrow was a sweet plant with a great common name. Does it have a bit of fragrance to it? gail PS Happy GBBD! I don't know about the butterflies Nell Jean...none of the ones listed really live here. Bees like it! I'll have to keep an eye out for butterfly visitors. Kim...only the very young stem is dark. It's not nearly as nice as Caradonna , which I know you like. I bought Edith Wolford too Barb! I hope it is more distinctly yellow than this though. I love that Dianthus. I've finally succeeded in getting Firewitch to grow for me. Somewhere I have a picture saved of a sidewalk lined on either side with different Dianthus. It was stunning. The garden looks lovely! I know what you mean about thunder. I moved to Portland from Nebraska a few years ago and really kind of miss thunderstorms (although, not the crazy damage they can produce). If we get one crack of thunder here in Portland, people talk about it for DAYS! Rosa Flower Girl wins my heart. I can only dream of roses in southwest MO, USA.